Prompt Charters is the indisputable leader in corporate ground transportation in North America. From corporate sedan to executive coach, we have a array of vehicles to meet your transportation needs. With a dedicated staff of over 100 corporate executives fielded through the continent, we are ready to help you. We are a call away even if it is a short notice. As the experts in the field we have accumulated years of experience in handling mass transportation for our corporate clients. As the largest company with the right resources and talent to handle any type of travel needs, major sports organization such as NBA are customers of ours for over two decades. By leveraging our expertise combined with cutting edge technology Prompt Charters provides service which none of them can match. So call us 877 277 6678 to discuss your next corporate travel. Corporate sedan is the ideal vehicle to pick up your executive and staff from airport or hotel to a desired location. 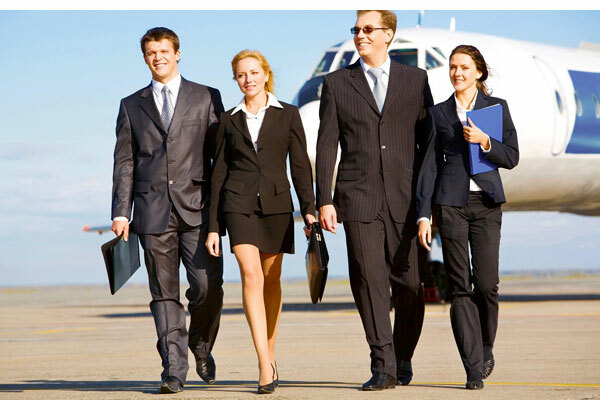 All our chauffeurs are well trained with at least 5 years of experience in corporate travel. This is the ultimate luxury vehicle with up t0 12 seats. This van offers comfort and luxury with leather reclining seats. Minibus is the right vehicle if you have a group of people arriving at the airport or need a transportation from hotel to the meeting locations. All Minibuses are fitted with wifi, outlets. Outfitted with leather seats, theses buses come in different sizes such as 20 seater bus, 25 seater bus, 28 seater bus and 32 seater bus. Coach Bus or charter bus is god for people over 35 in your group. All our motorcoaches are the epitome of luxury with dvd, luggage compartment, lavatory, pa system. In addition all our coaches have luxury add on like wifi and power outlets. School have the basic facilities that can accommodate from 42-50 people. We have school buses with air condition and non air condition. This Is the cheapest and most economic way to move lot of people.